whey protein is a good source of protein for consumption,it is known for its ease of use and portability.whey protein is the primary ingredient of dietary and sports supplements. 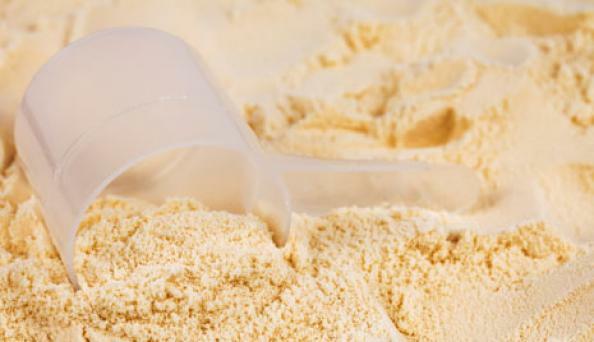 This post reveals the reason for hefty price of whey protein supplements especially in India. Basically whey protein is manufactured by industries that process milk and its products.When cheese is manufactured the by-product of the cheese is obtained which is the liquid whey.This is in brief the story behind whey. 1)whey is a food source obtained from dairy. 2)Manufacturing facilities doesn’t need any extra source of food product to manufacture whey protein powder. In fact the by product of cheese is well utilized to make money out of it.The manufacturing companies of whey protein powders doesn’t have time and man force to market the whey protein powder as that of sports supplement providers.Thus the manufacturing companies sell the raw material/main ingredient to the sports/body building supplement manufacturers. These are the list of companies that manufacture the whey protein powder in the world. (Note:There may be local manufacturers of milk and milk product plants also manufacturing whey protein,but they are not considered here as they don’t manufacture the standards and specifications specifically for sports/body building supplement use). All fitness folks your whey protein supplement products contain any of these whey protein powder as the main ingredient. Now here comes the pricing of supplements,first and foremost thing is dietary supplements are not under the purview of FDA.Thus they are not monitored by government and pharmaceutical price regulating authorities. The supplement manufacturing company can make any claim and sell the supplement for a hefty price by mentioning like proprietary blends ..etc..
What makes whey protein supplements pricy? Now that you know that whatever may be the company/brand,they have to get the main ingredient for their product from a cheese producing company.Let us assume a brand XYZ manufactures a supplement/dietary product under the product named as 100% whey protein. The XYZ brand procures the main ingredient from saputo ingredients(ie., whey protein concentrate/isolate)The XYZ company then repacks the whey protein with added flavours,fillers,sugars/artificial sweeteners,proprietary blend/unknown secret ingredients. The packed item is transferred to a box/tub/poly packs,neatly labelled and gets them ready to sell. Suppose that XYZ brand uses Whey Protein concentrate 80% as their main ingredient,then it is clear that every 100gm of protein powder contains 80gms of protein.But unfortunately no brand mentions the whey concentration/isolate/Hydrolysate details.Many brands focus on mentioning the ingredients per serving/other added vitamin/minerals,BCAA etc…OK.Now that they made some protein tubs for selling.They have to advertise the products online/TV/you tube/offline media etc..They have to pay for brand ambassadors aka body builders/athletes representing the brand,maintain websites/stores etc.. all these make the cheap whey protein to 4 times its selling price.Now you are in India,no Indian company makes sports/body building supplements in India from scratch.Also Indian supplement have controversy over trust.So now you will look for branded supplement (imported) add the importing cost to it,next the supplement stores./websites from which you are buying the product are not the first person who is directly selling the imported supplement.They are buying it from supplement importers and distributors in India.Add their profit for each supplement,and add the profit of the seller who is selling the product to you plus shipping if you are not in location of the store.Now the Price of a simple whey protein made upto 10 times its original price,still it is not known whether it is unadulterated or not.So what are you paying for? 2500 is the base price,if more profit is expected 1 kg whey protein supplement may be sold at 2500-3000 rupees. Surprised by the facts? Now you buy 1kg whey protein of that xyz brand for 2600 rupees,still there is no guarantee that it is pure and unadulterated protein supplement.where are you throwing your money in the name of fitness? Another shocking information is most of the big brand supplements are actually not imported,they are repacked with the labels at our Indian distributors premises/facility. You can buy whey protein concentrate directly from manufacturers/distributors of the whey protein powder in our country.Price per kg is around 500 rupees for whey protein concentrate 80 saputo. If you need to consume whey protein invest your money buying in bulk whey protein. Answer : May be true,but let me tell you if you are intolerant to dairy products,you should always consume whey protein isolate/soy protein(non gmo,de fatted,organic). Consuming bulk whey is better than those branded products that hide the source of the ingredients and blends ratios. Bulk whey is unadulterated form of whey protein direct from manufacturers. Its not denatured,no added fillers,sugars,artificial flavor/colours,unknown ingredients(Proprietary blends). Most people who had problems when consuming bulk whey is not due to the form,but because of lactose intolerance,abuse of the protein,lack of clean diet etc..
Next time when you buy your whey protein supplement think once before investing. Eggs are a good source of protein at affordable price.Get your eggs from dealers,it will save a lot of your money you could end buying 100 eggs for below 400 rupees. Stay healthy and fit.After all your muscles are useless if you are sick with diseases(consuming adulterated protein supplements).